That's my girl! 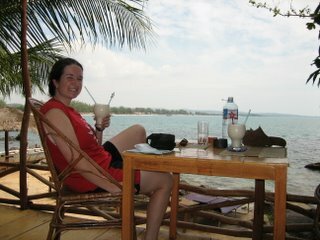 Enjoying the umbrella drinks.........and what a view! I'm feeling the cool.calm karma from here.